A look from date night last weekend 🙂 I finally got to rock this necklace from Bauble Bar, and I’m obsessed. This necklace is a statement! I received so many compliments on it, and it instantly turned this plan maxi dress into an outfit. Not to mention I get an awesome neck workout while wearing it #itfeelslikeamidgetishanginfrommynecklace Totally worth it though. Oh and if you notice the bruise on my arm.. it’s a battle wound from playing basketball with my classmates. You look lovely, the necklace is perfect and I love how you dressed your maxi up! Your hair looks so pretty! I love that maxi dress! looks so pretty on you and looks great paired with the leopard print belt! I love that necklace! Such a gorgeous look! absolutely LOVE your necklace, beauty! Gorgeous outfit. the dress and the necklace are perfect together. Love it. OMG love this! Perfect date night look! That necklace is amazing! You look absolutely stunning! That necklace is perfect! The whole outfit is amazing! You DEFINITELY rock that necklace! That whole outfit is incredible! Pretty! 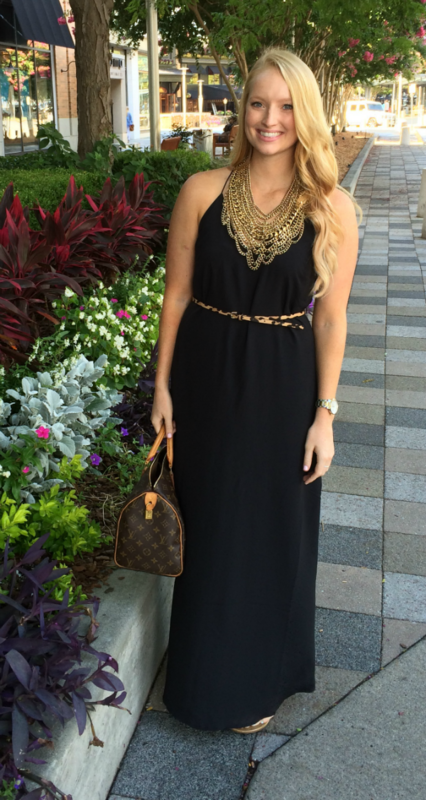 I love the black maxi with the gold necklace. I LOVE the black with little pop of leopard! That necklace is gorgeous! Love it, and love this whole look! what an amazing necklace! love this gorgeous look! That necklace is everything!! I love how you paired it with a black maxi and leopard print belt. Gorgeous!! Love the dress. You're beautiful! What a lovely look, you are also so pretty! I absolutely love that necklace and how you paired it with the black maxi dress. 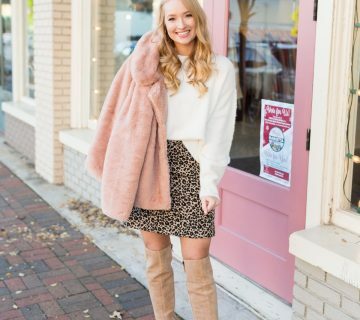 This outfit is so pretty, especially for a date night. I just love the gold necklace against the black dress:) Hope you had a nice evening in it! I love all black with a pop of leopard! Great Look! Love the maxi dress! 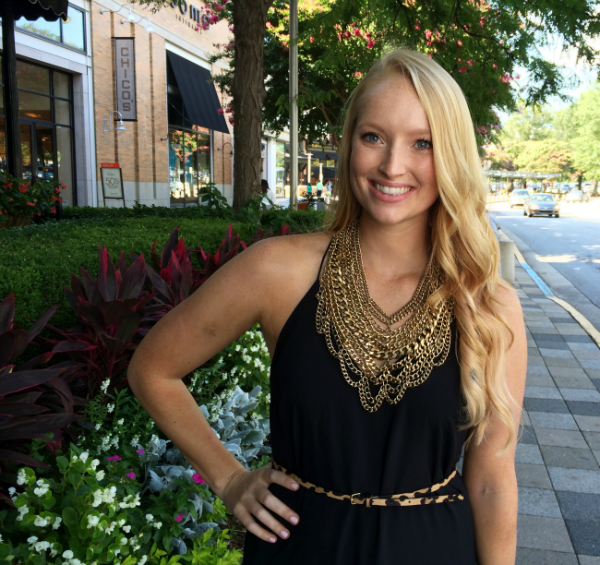 I have that Courtney bib necklace too, and it's so fun to style! this necklace is gorgeous! I want one so bad!!! 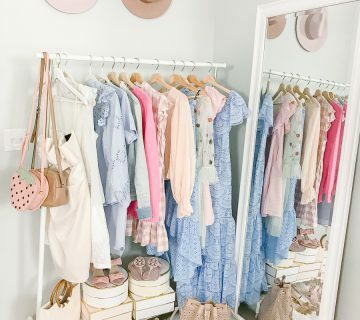 Obsessed with how you styled this. That necklace is stunning! !